There is a lot going on, as per Friday the events in New Zealand are taking off, it is the buzz of the planet and they are all repeating or making more and more outlandish claims. I stated what needed to be said well over 24 hours ago and I stand by it for now (until actual evidence is brought forward). So I decided to browse the news and the media what they call newsworthy, two elements that are often not the same. It stopped me in my tracks when I saw ‘Chelsea Clinton accosted by Muslim students at Christchurch terror attack vigil‘ with the one part: ““I want you to know that and I want you to feel that deep down inside. Forty-nine people died because of the rhetoric you put out there,” the student added as she pointed her finger at the daughter of Hillary and Bill Clinton.” It is shown with the photo by-line “Chelsea Clinton told the students she was sorry they felt that way, which further inflamed the situation“. The problem here is that her words might be seen out of context, her parents might get all kinds of consideration, but Chelsea is not, remarks resulting in questions raising the flames. It stopped me in my tracks not merely because I do not know Chelsea Clinton (or her parents for that matter), but the idea is that famous people (read: celebrities) have agenda’s. Most of them for the most of their time try to use the acquired fame to give light to the truly worthy and those most unheard of. We have seen all the great actors having some kind of charity involvement, yet there are plenty who are not in the highest regions (still high though) who take serious amounts of time giving light to worthy causes. One of these lights is Tom Hiddleston. 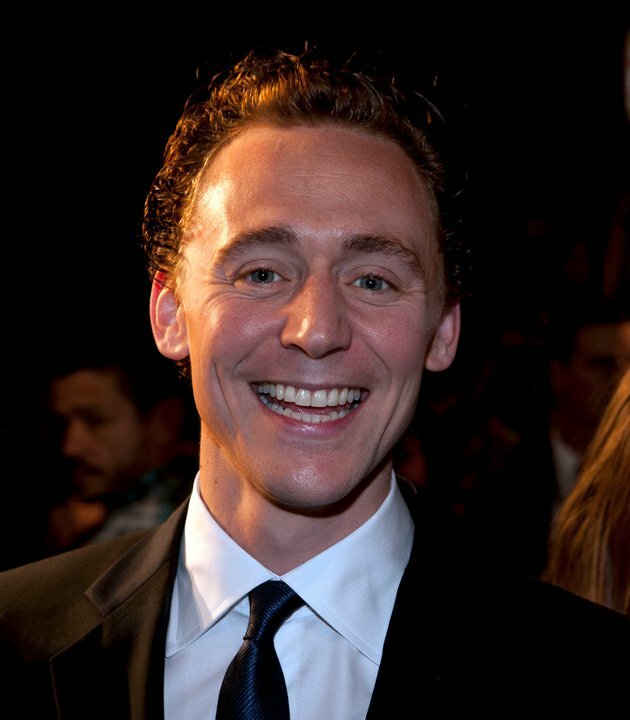 He acquired most fame as Loki, the trickster, opposing Chris Hemsworth (aka Thor, or what some would call an ancient version of Bob the Builder) in several movies. He did a lot more and ever as some might think he was one of those Eton College silver spoon people (born in Westminster might give that appearance), we should see a man raising awareness for many causes, including Recessive Dystrophic Epidermolysis Bullosa. By his support to The Sohana Research Fund (at https://www.cure-eb.org/) we see people like Jason Isaacs, Emma Watson and Damian Lewis also giving support to the cause. We have seen for the longest of times as People like Matt Damon give rise to the need of clean water. Matt Damon with H2O Africa attended Davos 2019 a place where the truly rich convene to drum up support for additional millions to get more and more wells drilled in Africa. The work of his charity is doing so well that they have been able to reach a million more people each quarter with water and sanitation, clearly improving the quality of life there in very identifiable ways. Then there is Jennifer Lawrence who decided that a meal is a good way to start, so there is an option to share a slice of Pizza with her and the only action you required to do was to donate to a charity. Now, it might seem like small fry, but consider that the 50 people she had a slice with each would inspire 10-50 more, soon that movement goal becomes a very serious number towards success. Her cause was Voter Education through Represent.Us, a charity that brings together conservatives, progressives, and everyone in between to pass powerful anti-corruption laws that stop political bribery, end secret money, and fix our broken elections. It might seem small, but the power of the achievement is no joking matter and awareness is a first step. So whilst we see more and more actionable events by those in the entertainment media, we see that they are a lot more effective in bringing about change. Rachel McAdams, James VanBerBeek, Kevin Sorbo, Orlando Bloom, J.J. Abrams, Kerry Washington some of them supporting dozens of Charities, many of them doing so for years; so when you think that most of the celebrities rest on their laurels think again, some of these participants have agenda’s that are a lot more crowded than the average CEO of a fortune 500 company. In saying that one of the funniest events lately was done by Mark Ruffalo who (at https://comicbook.com/marvel/2019/03/05/avengers-endgame-premiere-mark-ruffalo-giveaway-omaze/) is shown to be running away with Thor’s hammer, giving it out as a charity price through an Omaze Contest for the Stella Adler Conservatory, the hammer (Mjolnir) signed by the Avengers cast as well as the winner (+1) being the personal guest of Mark Ruffalo at the Avengers: Endgame premiere. So at times for millions a charity is just the means to get a prized possession and is that a bad thing? Even the marketing as Mark was great. It entices fans all over the world to be like a hammer and nail that price. The voices of entertainment are a lot stronger than anyone realises and in all that we all see that there are plenty of good causes that could use illumination, I reckon that with the mindset of these fresh new titans to be (except Matt Damon, he has been around a while now) the future of the place we live in is in decent hands, when you realise this in opposition of the acts that happened in New Zealand, this is a great place, there are good people in any religion and as we get better in voicing the matters that should be important to all of us we can make this place better for everyone. For me I recollect one of my truest idols. In my case it is Lord Baden Powell. It is not because he created the boy scouts, it is his quote “Try and leave this world a little better than you found it“. The requirement is simple, it is easy, it is realistic, and if we all did it this world would go from now to truly great within two generations. It is that simple approach that makes and improves a world. These stars are doing it, but in equal measure so do many people, most we have never seen, heard or noticed. Though community services, through emergency services and in other ways, these people all contribute to making the world a decent place. We should all consider joining up to a cause that we feel strong about and in the end, we do not need to do a lot, we merely have to try and leave this world a little better than when we found it. Is that so hard a call to make?